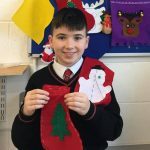 Congratulations to one of last years Leaving Certs Shannon Curtin Fantastic achievement. The Catex exhibition took place in Dublin from the 26th-28th February, it is Ireland’s Largest Hospitality and Culinary Event. The Hotel, Culinary Arts and Tourism Department were represented in the Chef Ireland competitions, which are organised by the Panel of Chefs of Ireland and endorsed by the World Association of Chefs Societies. 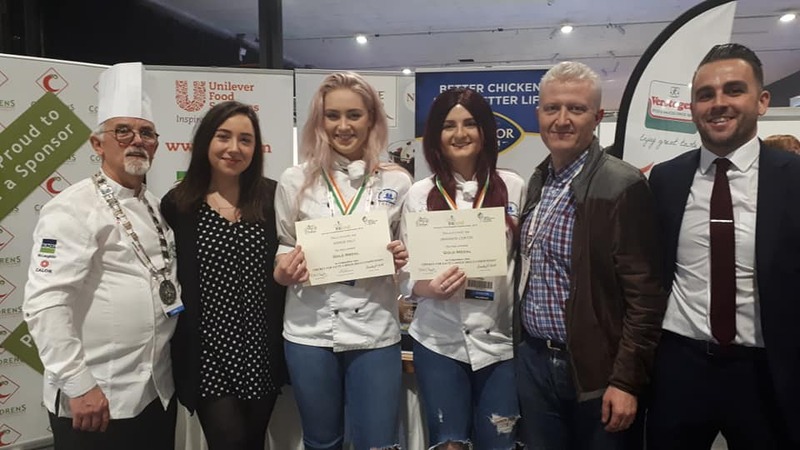 The Catex exhibition provides an opportunity for Ireland’s most talented student chefs and hospitality students from colleges all across the country to go head-to-head in tightly fought contest across a broad variety of competitions. Now in its 53rd year, Catex remains the biggest competition of its kind in Ireland and is an excellent opportunity for chefs and Hospitality students of the future to showcase their talent in front of some of Ireland’s leading food and hospitality professionals. 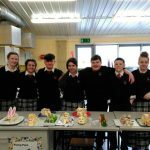 ITT had a team of two students competing in the Chicken for Sauté Larder Skills and Cookery Relay Competition, Junior Class and they were not left lacking when the prizes were being presented they received gold medals. 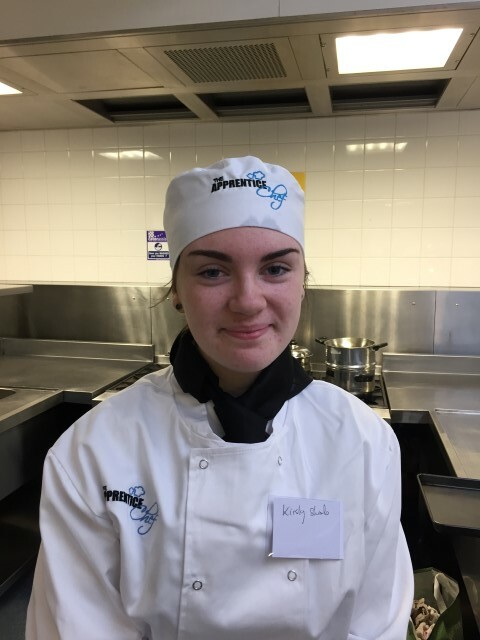 The students Kerrie Daley (Ballyheuige, County Kerry) and Shannon Curtin (Milford, Charleville, County Cork) are currently studying on year 1 of their Culinary Arts programme at the institute. Their dish was Sauté Chicken Chasseur – Glazed Carrot and Courgettes and Parisienne Potatoes. 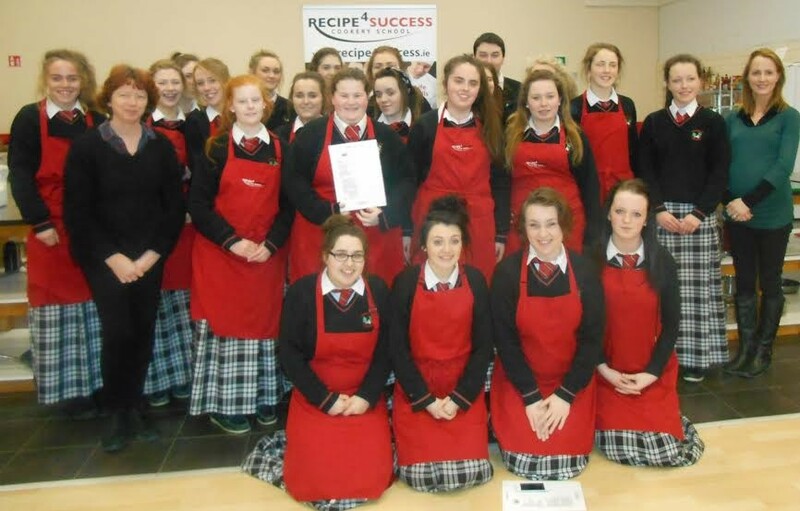 The college mentors for all this competition were Chef Lecturer Mark McLarnon and Chef Mark Murphy. 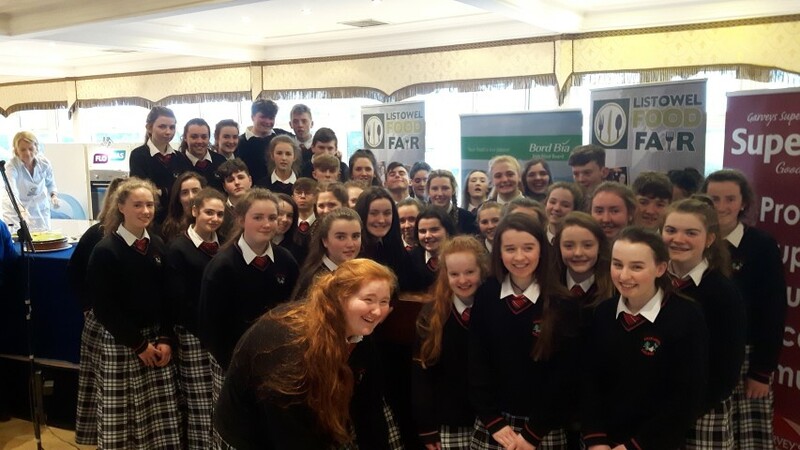 These students are to be commended for their achievements and the entire Hotel, Culinary Arts and Tourism Department “Would like to congratulate and acknowledge how proud they are of the students and their great achievement at the national competitions such achievements will greatly enhance their future career prospects. Special mention to Chef Mark McLarnon for his dedication and commitment in preparing the students for the competition and all those who helped make this a reality for the students. It is indeed a great achievement on the National stage”. 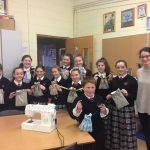 First years and their bags that they made using all their sewing skills- for the Beads of Courage initiative run by the Rotunda Hospital in Dublin. The bags will be sent to the Rotunda and will be given to the parents of sick babies. 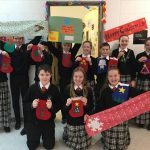 Hazelwood 1st year Home Economics students who designed and made textile craft gifts for Christmas. Hazelwood Home Economics. 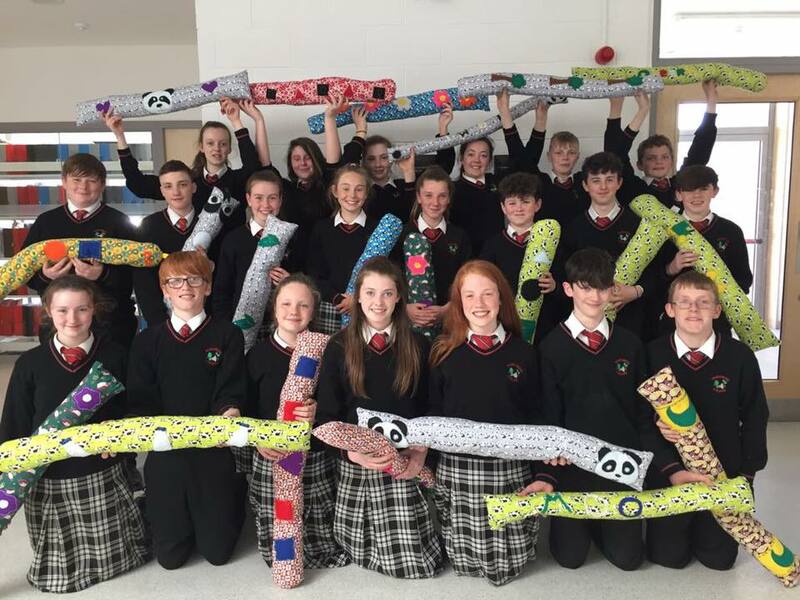 Ms O’Flaherty’s “Blue” 1st year class, proudly show off their completed appliqué draught excluders which they made in textile class this year. Well done lads. 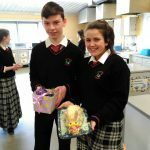 Second Year Home Economics students have been busy this week making Easter Bunny Cakes in preparation for Easter. 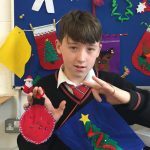 Well done to Fionn Mc Carthy and Zara O Connell who won first prize for their entries and Ali Croke on being awarded the runner up prize. 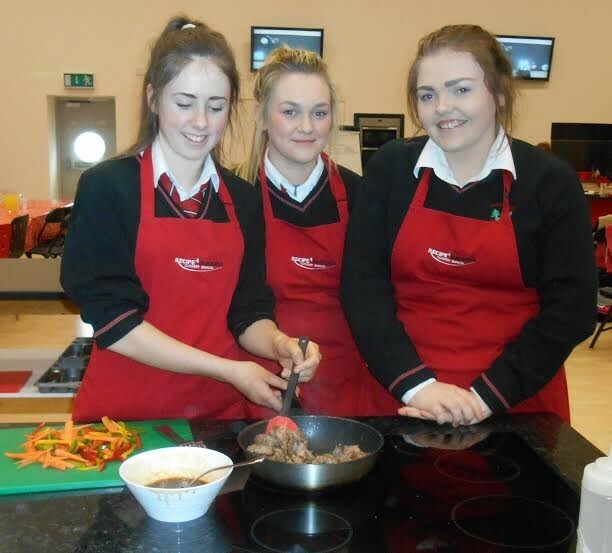 Hazelwood College Home Economics second year students (from left to right) Kirsty Shiels, Sarah Farrisey and Victoria Shanahan pictured at preparation for Cook Off for the Apprentice Chef Cookery Competition under the mentorship of Mark Doe of Just Cooking cookery school in Firies, Co. Kerry. This high standard cookery competition is based in I.T. Tralee and supports Good Mood Food and Healthy Eating using locally sourced ingredients. 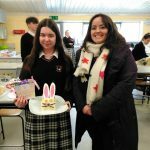 Picture b: Sarah Farrisey, second year Hazelwood College Home Economics student, pictured participating in the Apprentice Chef Cookery Competition in IT Tralee as part of Good Mood Food and Healthy Eating using locally sourced products. 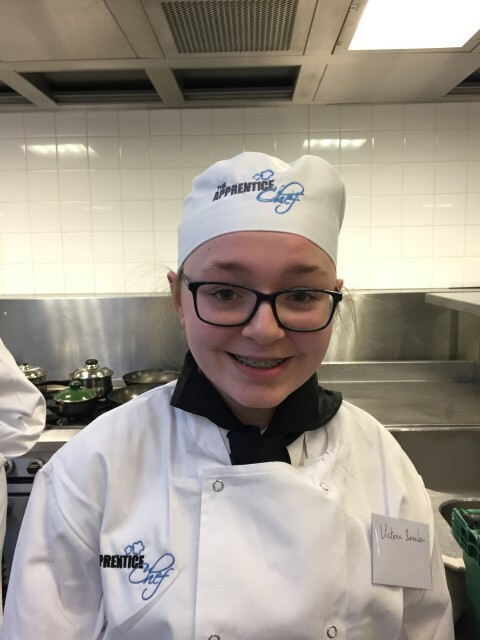 Picture c: Victoria Shanahan, second year Hazelwood College Home Economics student pictured at the Apprentice Chef Cookery Competition under the supervision of chef Mark Doe. 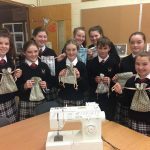 Hazelwood College Third Year Home Economics students are pictured here having travelled to Listowel recently to participate in the Demonstration in the Listowel Arms Hotel, which was an event organised as part of the Listowel Food Fair 2016. Students were able to observe the professional chefs in action to help hone their budding ‘Master Chef’ skills. 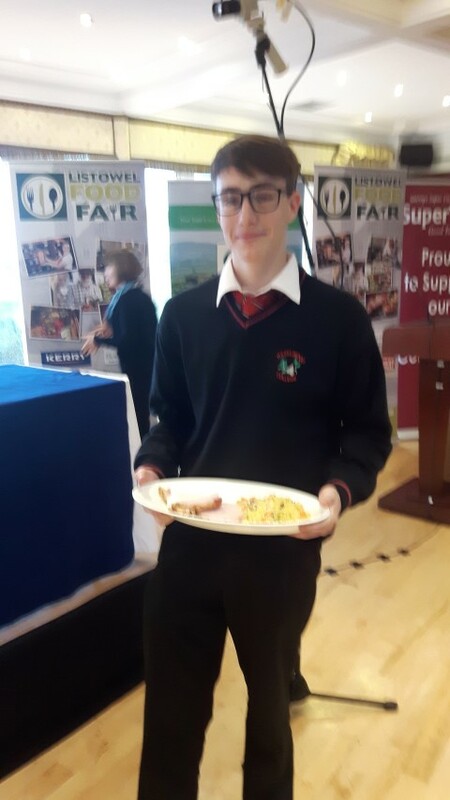 Hazelwood College Third Year student Jack Walmsley is pictured with the Lion of Bacon which he won in the course of the day, having participated in a student competition. NOT ONE, but TWO FINALISTS! 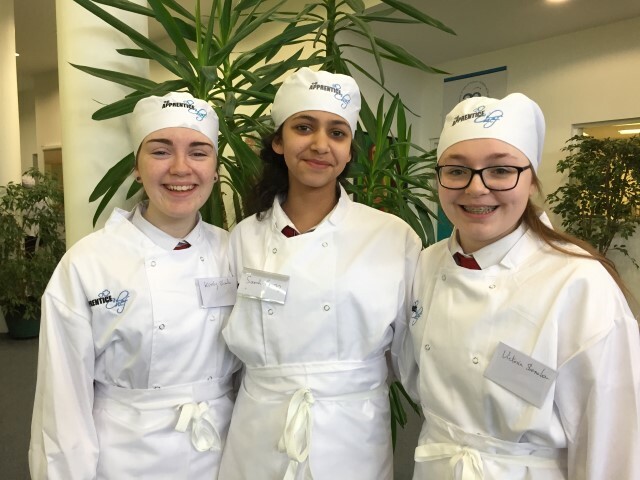 The Involvement in The Apprentice Chef is the top Home Economics achievement in Hazelwood College, where Healthy Eating is a priority. 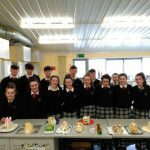 Students love to participate in cook-offs in school and they really benefit from the Tralee workshop where they can experience a professional catering environment. Participating student chefs are linked to a chef mentor who advises them on their dishes. Apprentice Chef has raised the standard of skills in our school and inspired students and their families toward healthier food choices . 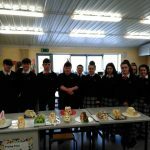 In Hazelwood College EVERYBODY learns about ‘good mood food’ from Tralee’s Apprentice Chef Event. This year is our 4th year competing the The Apprentice Chef. Hazelwood’s Julia O’Doherty won 1st prize in 2012. the competition’s first year. Then, in 2015, Laura Stack came 3rd in the final. We have four Home Economics Teachers in our school and we teamwork towards better food choices. 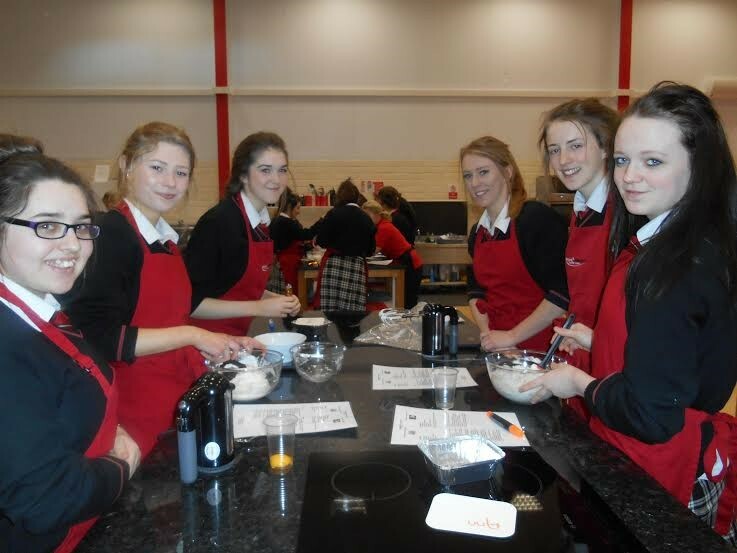 Home Economics student numbers are growing and we are happy to be adding a new kitchen this year. 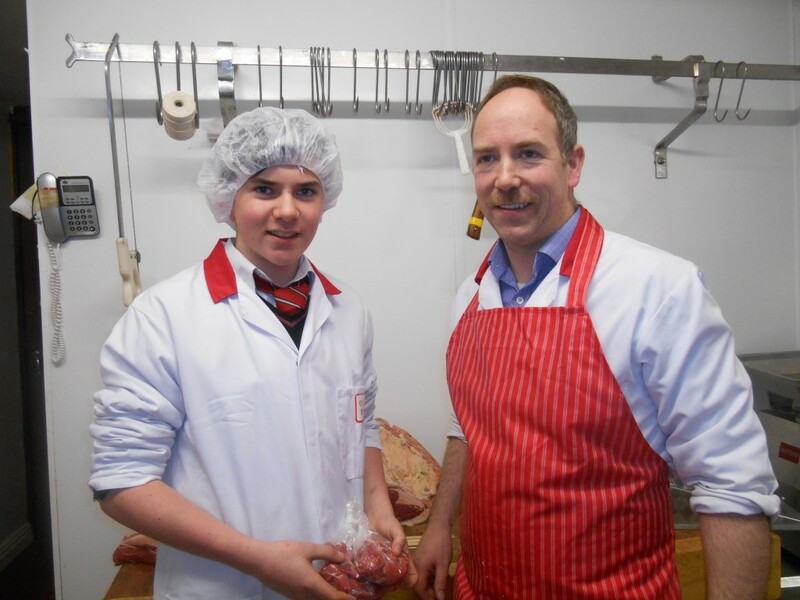 Billy Ryan, our 2nd year finalist, who is using locally sourced beef from O’Connor’s butchers, Dromcollogher, pictured with Ciaran O’Connor, craft butcher. Ciaran taught Billy how to butcher beef fillets into even-sized cubes for his dish. 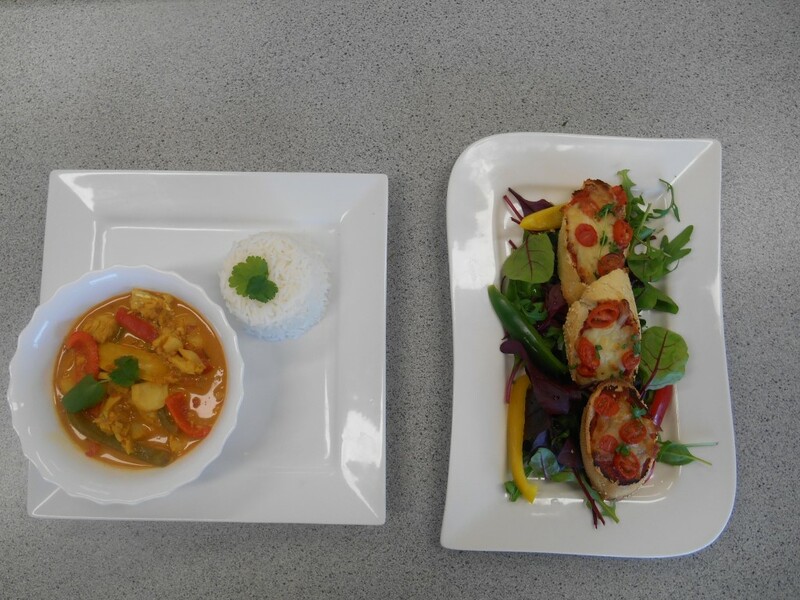 This is Orlaith Hennessy’s dish of Fish Curry and rice with crostini and green salad. This was her original dish idea. With the help of her chef mentors Orlaith has developed this dish to an even higher standard. 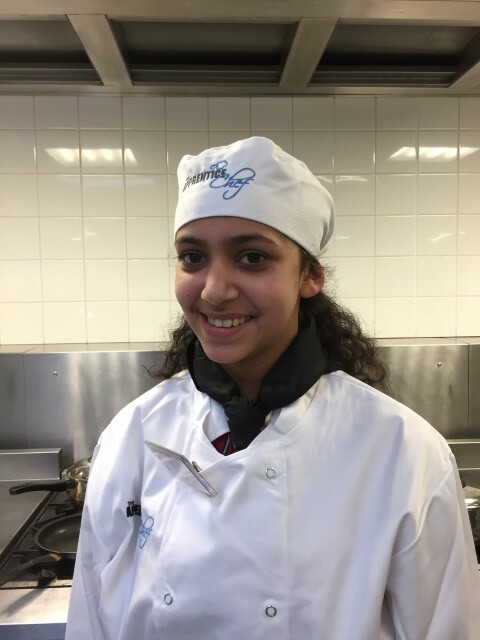 Check out The Apprentice Chef Facebook page to follow our successful students. 3. 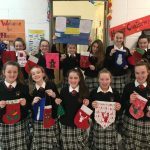 Aoife O’Callaghan, Tracy Lynch, Emma Purcell. 4. 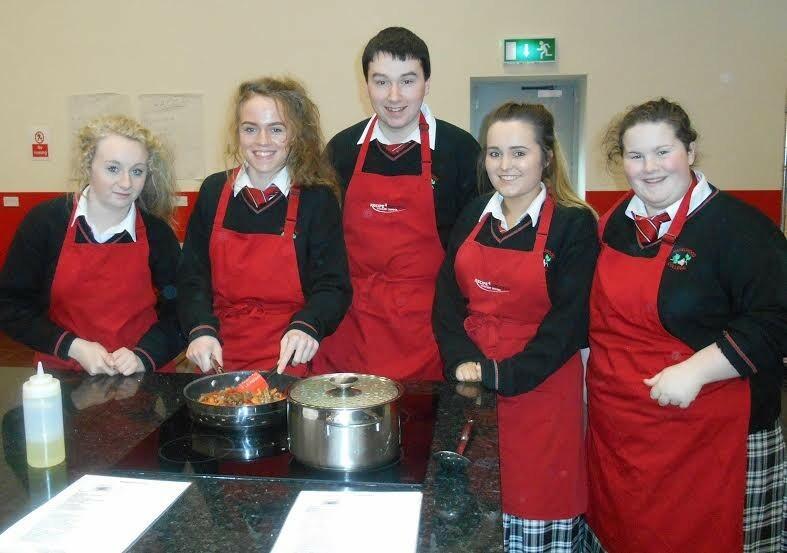 Shania O’Hanlon, Danielle Aherne, Aoife Murray, Chloe O’Brien, Rachel O’Brien, Ann Boyce at Recipe4Success Cookery School, Annacotty in March 2016. Hazelwood College Leaving Certificate Applied students Conor Begley (left) and Alan Murphy (right) prepare to participate in the International Food Fair, which was held recently as part of their Hotel, Catering and Tourism module. 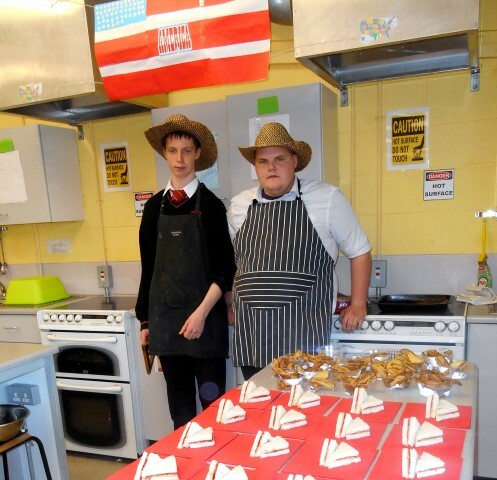 Conor and Alan produced samples of American food as part of their entry in the International Food Fair. 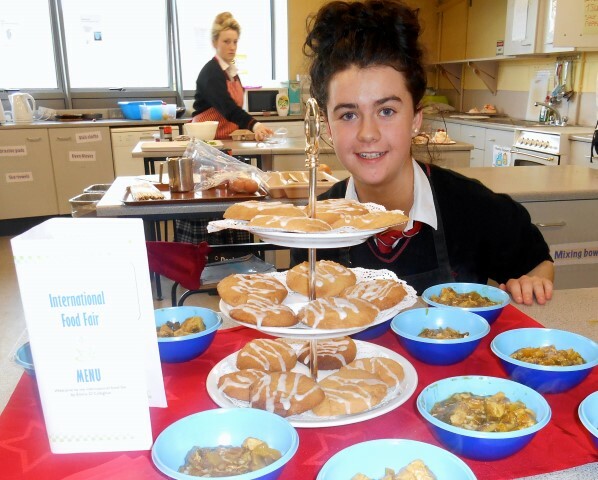 Picture 2: Hazelwood College Leaving Certificate Applied student, Emma O’Callaghan, completes her entry for the International Food Fair, which took place in Hazelwood College recently.